Blogs are effective marketing tools that a smart entrepreneur should take advantage of. Of course, there are some who find the initial steps of creating a blog to be quite difficult. This is because many do not know how to begin. This article answers some of the basic questions about blog creation. Decide on your Blog's Topic The first step to blog creation is deciding on what your blog will be all about. This is the first stumbling block that many potential bloggers face. Having nothing to write about is always the problem. Of course, this cannot be farther from the truth. Every one of us possesses a wealth of knowledge and experience which was accumulated through the years. The problem faced by the blogger, therefore, is the question of tapping into this personal database. Mind mapping is an effective process for coming up with an idea. It takes only a few minutes, but it lets you narrow down the possible topics for your blog. The process is as follows: you write your name on a piece of paper and encircle it. Then you write any ideas that pop into your head, all of which are branching out of the main circle. After this, arrange your ideas into categories and sub-categories. You can further develop these ideas by developing new mind maps. Finally, choose the category which is the most developed or is the most interesting for you. Follow that quick process and you will surely have a topic for your blog. Now that you know what you want to blog about, you now have to decide the question of hosting. You can choose to go for free hosting or you can choose to pay for it. There are a number of available options depending on what you want to do with the blog itself. You can choose between a number of Content Management Systems such as WordPress or Blogger. The difference lies on the degree of control that you have with the blog itself. Personally, I'd recommend hosting the blog yourself. 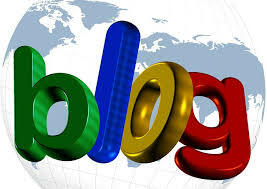 Once you have decided on the problem of blog hosting, you now have to think of the blog's appearance. There are a number of themes available online. You have to choose carefully and make sure that the theme you choose is appropriate to the blog that you are running. You also have to consider the functionality and the responsiveness of the theme itself. These are just a few of the things one has to consider during the blog creation process. Content, distribution, and frequency are the core components of a blog that one has to maximize. However, these three elements are simply not enough to ensure the blog's success. You have to make sure that your blog has an individual voice that makes it stand out in the blogosphere. Informative article useful for those who dont know anything about how to build a quality professional blog site ....I have gone through your article fully and finallu build blog site for my business through providers like TuckTail.com first i choose domain name for my blog site and registered it with them for affordable cost .Then i signed up for an wordpress blog hosting service to create an amazing professional blog site as i wish ...WordPress Hosting from the above provider keeps our site running smoothly, even when our latest post goes viral, by automatically spreading traffic spikes across multiple servers. Plus, their advanced performance and security means our site is lightning-fast and our visitors are safe.